You can change people’s lives by making learning videos on YouTube. Educational programming on YouTube takes on many shapes, forms, and personalities—which means there’s something for almost every learner globally. Whatever your inspiration, YouTube can help you take an idea and bring it to life. We’ve designed this course for YouTube creators, teachers, organizations, and anyone who wants to teach or share knowledge on a topic. The content, examples, and tips represent a wide variety of individuals creating instructional or educational videos, whether you’re an expert in your field, or an established creator who wants to try something new. What’s your goal for creating educational content on YouTube? 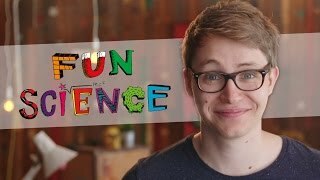 ‘Edutainment’ - combining education with entertainment: Often hosted by curiosity-seeking hosts or subject matter experts, these videos provide memorable education on YouTube in a creative way. Straightforward education and answers - sharing ‘how-to’, academic subjects or curriculum-based: Often hosted by teachers or experts, these videos can help an audience master a specific subject and/or learn exactly how to accomplish a task. They are usually developed around a curriculum. Skill-based learning - teaching skills to enhance careers: Often hosted by professional in a specific vocation, an expert, or an organization that provides skill-based teaching. The goal of these videos could be to inspire, inform, or empower viewers to advance or change their careers. They often help an audience learn soft skills, show a day in the life of a certain vocation, or provide job training. According to a Google Consumer survey, 18% of YouTube viewers say they visit the site to learn about or improve job skills. Note: these are only a few of many educational formats. You can use them as a guide for channel inspiration but remember, they’re fluid—if your goal is to teach academic subjects, soft skills and also be entertaining, go for it! In the end, it’s all about making educational content that is relatable, accurate, fun, and scalable. If you’re not ready to make videos but still want to contribute to the educational ecosystem on YouTube, consider curating expert playlists where you apply your knowledge of a subject and bring together a range of videos and voices. Creating educational playlists and sharing them with learners is a lightweight way to share your expertise in a subject without stepping behind the camera. Ferretto Matemática’s channel is all about math. His videos are playlisted by topic, making it easy for students to find the material they’re looking for. EmpowerRN offers helpful resources and tips for nurses, including ‘how-to’ videos for nurses, advice for nailing job interviews, and dealing with delicate conversations. 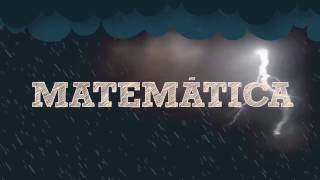 This channel creates inspiring, topic-specific playlists from videos on other channels. Audience: Are you making videos for viewers who are starting fresh and have no knowledge of the subject, or do you expect that they have some context on the topic? What are their needs? What age and demographic do you plan to reach? Content: What existing content is out there on the topics you’re interested in? How can you make your content unique? What themes are you passionate about and can create an entire channel or series around? Prior Knowledge: If you’re an expert in the topic, remember, there could always be more to learn. Are you expert enough to know what research to do and who you could learn more from? What collaboration opportunities could you explore? Learning along with your audience: Consider taking your audience on a journey to learn together. What subject matter experts do you know—would they want to collaborate with you? Instead of just learning one subject, can you build the act of discovery into the content itself? Presentation: While the usual teaching format is easy to produce and sustainable, experimenting with new formats can be a great way to hook the attention of your target audience and reach new viewers. Will your content be structured, semi-structured, unstructured? Formal, or informal? By keeping your tone light, and using situations from the life of your target audiences, you can make your content more relatable. By being more direct or structured, you can clearly communicate learnings. Think niche: YouTube audiences are curious and search for content across countless subject areas. Creating niche content can be a powerful way to tap into communities searching for very specific information. Go global: YouTube is a worldwide platform and offers a suite of translation tools to help your content be understood abroad. Will your content idea work for a global audience? Consult experts: On many educational channels, the host is actually an expert in the field— but that’s not a requirement. It can also be fun to learn from others as you go along. Learn with your audience: Instead of just learning one subject, can you build the act of discovery into the content itself? Consider taking your audience on a journey to learn together. 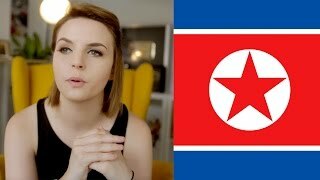 Musician and comedian Emma Blackery strays from her usual content type and proffers a basic history of North Korea. 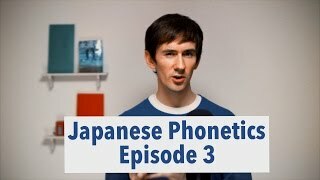 Dogen's extensive knowledge of the Japanese language is obvious and makes him a credible and helpful teacher for English-speaking learners since he was once in their shoes. 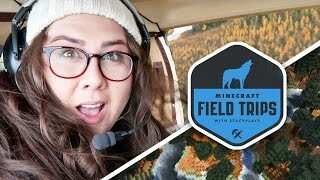 Staceyplays takes her gamer audience on an educational adventure in her series Minecraft Field Trips. She meets with experts in Minecraft-related topics, like wolves and iron mining, offering her audience a real-life look at some of the topics found in the game. 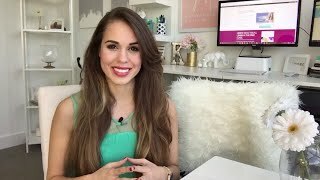 Kimberly Ann Jimenez offers tips and tricks for starting an online business on her channel. Her audience is quite specific and her approach is both scalable and fun. Brand: Brainstorm how a new content genre will work within your existing brand and don’t be afraid to push boundaries to try out something new. Content: Consider the variables—generally, the further away new content is from your usual style, content and tone, the harder it will be for your audience to embrace it. You can mitigate risk by keeping some elements your audience already expects while trying out something new. For example, if you change the topic genre, consider keeping your regular style, format, and tone. Sustainability: Set realistic expectations before you dive into making new content so that you can stay excited about your new venture and not get burned out. Determine how much content you could create and if you are producing this alone or with a team. Can you see yourself maintaining two channels long term? Find ways to combine what your audience expects with your interest, passion, and goal. Collaborating with creators who have an educational channel is a great way to introduce learning content on your channel. Reach out to channels who inspire you. Consider asking your audience if they’re interested in educational content with a poll card or a callout in the comments. Charlieissocoollike created a 5-episode series of science videos on his channel, which usually serves up comedy videos, challenges, short films, and music videos. 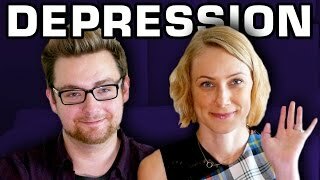 Filmmaker and Comedian TomSka brought "Edutainer" and Psychotherapist Kati Morton onto his vlog channel to discuss recognizing, treating, and living with depression.